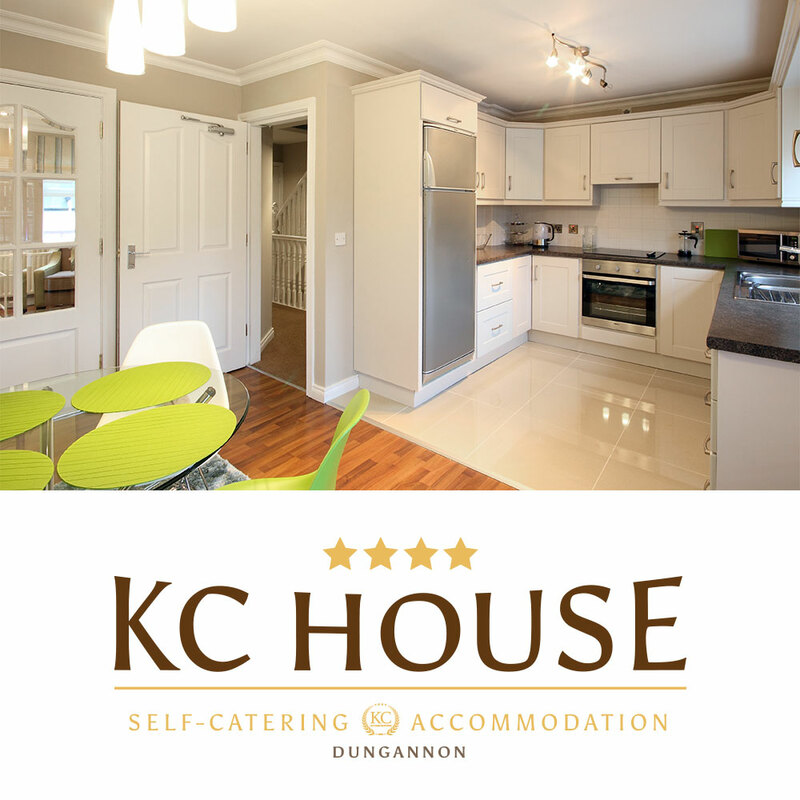 KC Accommodations Self-Catering Accommodation in Mid Ulster. 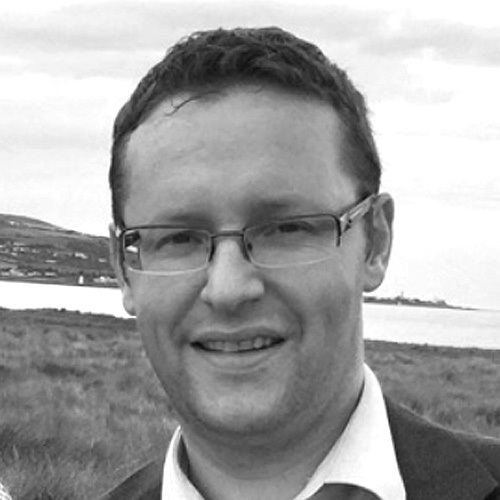 Self-Catering Accommodation in Northern Ireland. 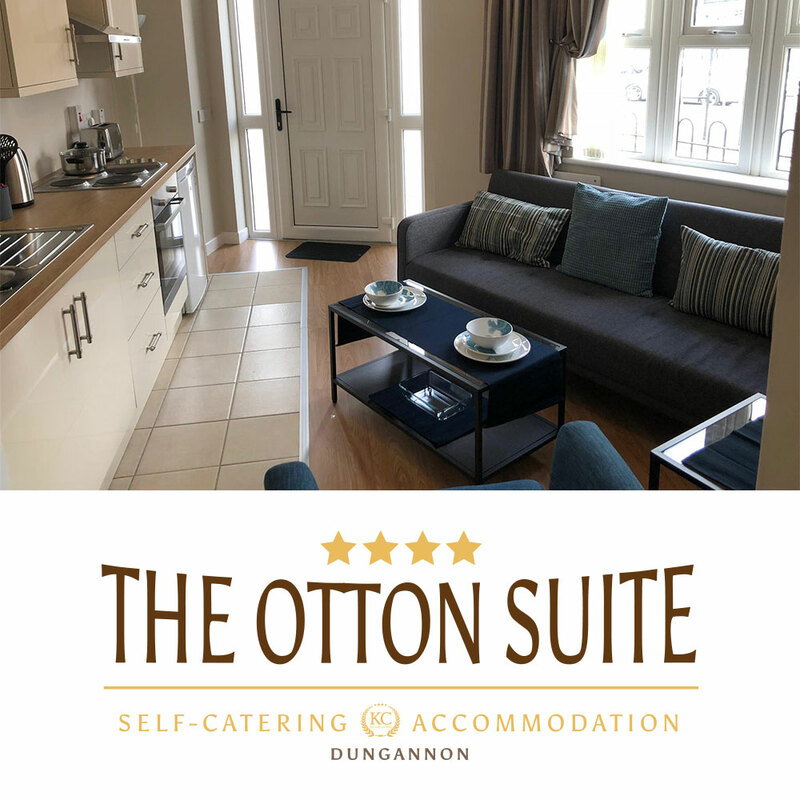 The Otton suite is a spacious one bedroom apartment benefiting from a fully serviced kitchen including cooker and washing machine. A cosy sitting area with a sofa and a 32 inch Flat screen tv add to your comfort. 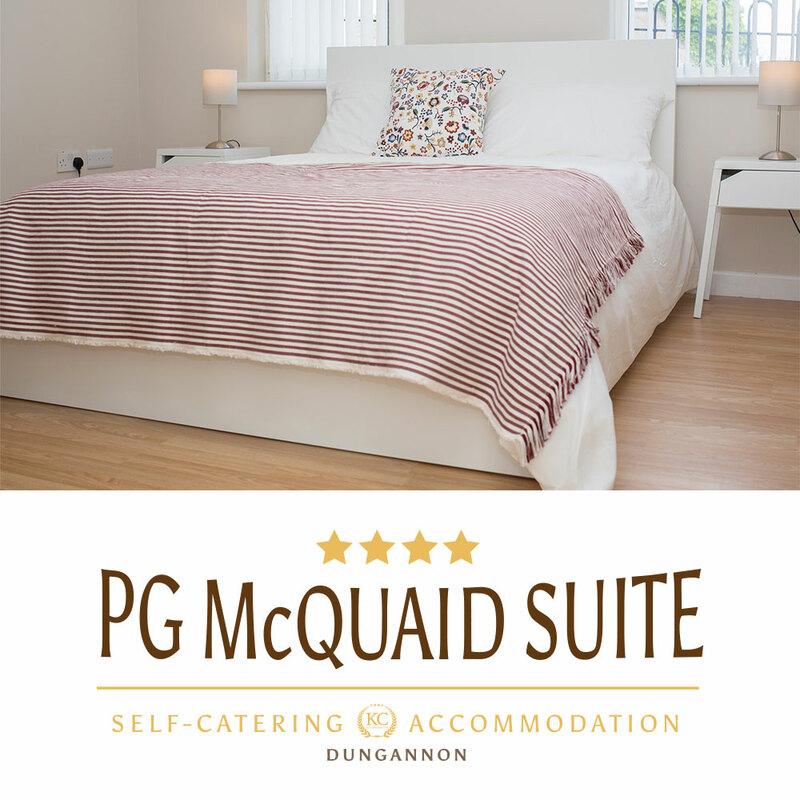 The PG McQuaid suite is a one-bedroom apartment with fully furnished with a double bed to a accommodate two persons. The apartment is equipped with a flat screen TV, sofa bed, full kitchen with oven, mini fridge and washer. 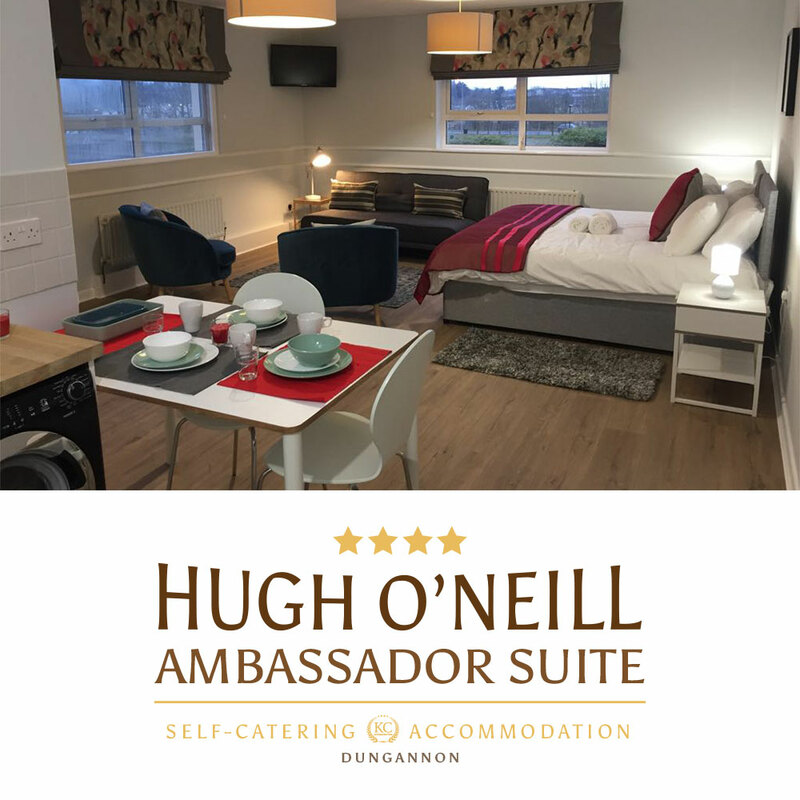 Hugh O’Neill Ambassador Suite is a studio apartment modernly equipped with excellent facilities. 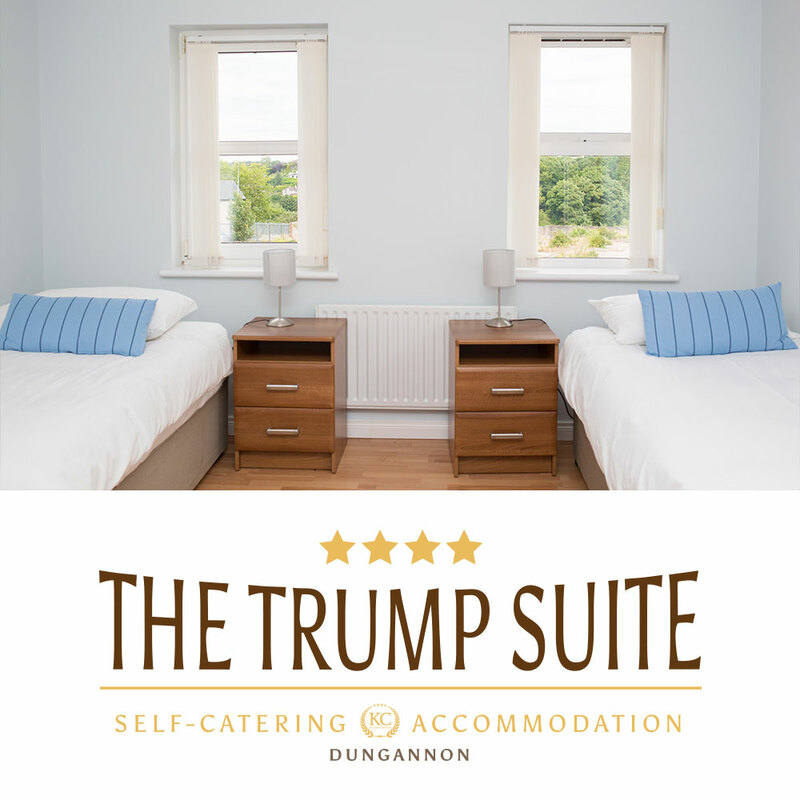 Located at the Ballygawley road, this executive apartment is a popular choice for couples and solo travellers. 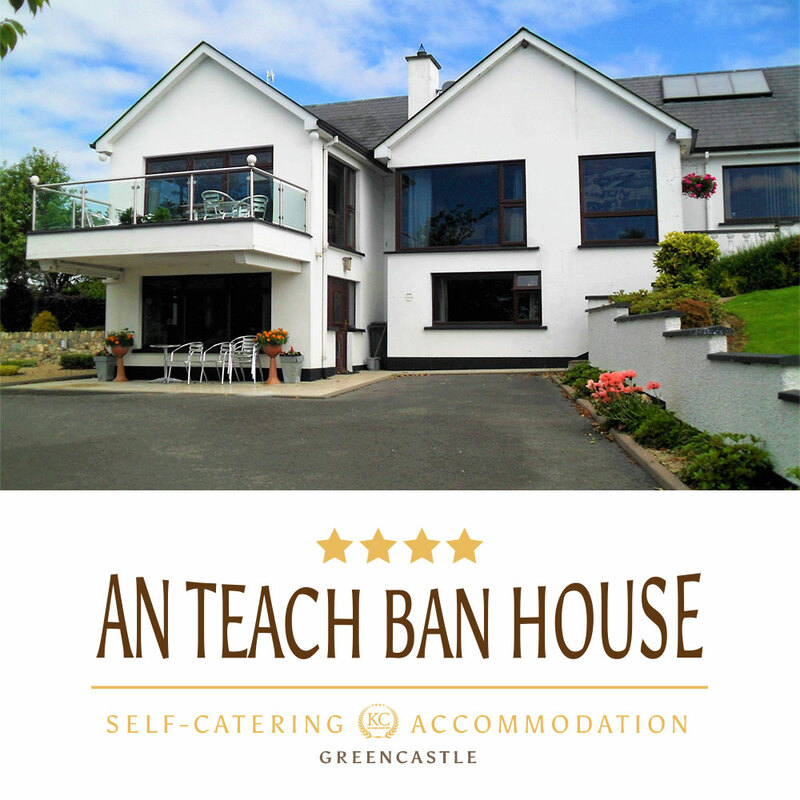 An Teach Bán is a family and pet-friendly ground floor apartment complete with outdoor facilities. Located at the foothills of Sperrins, the house is suitable for the nature lover and adventure seeking guests. A two bedroom accommodations located in the village of Dromara, a lovely countryside but not far away to restaurants and shops and attractions. 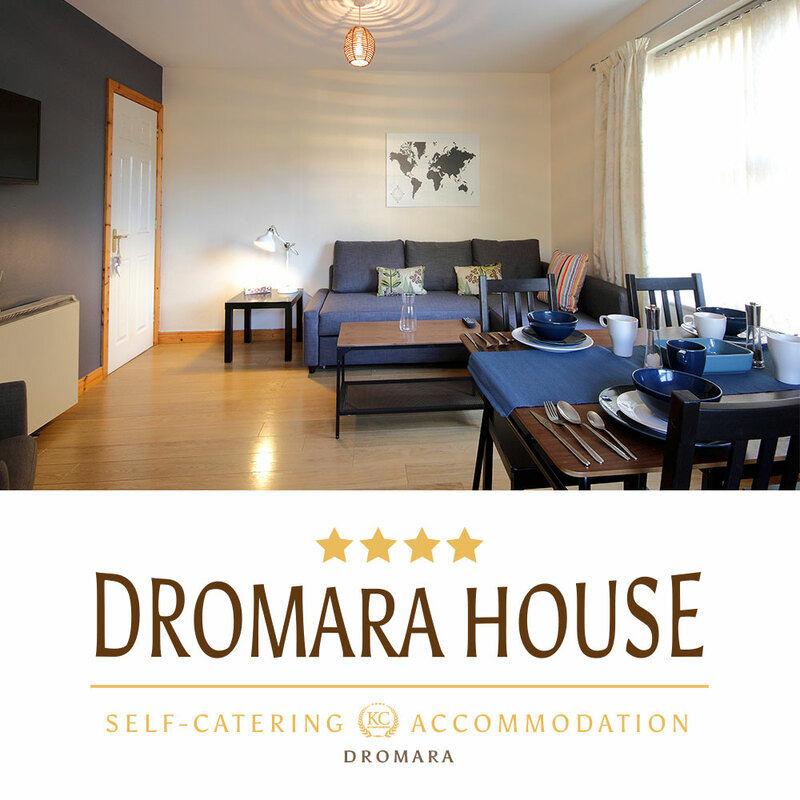 Dromara House is a perfect getaway to outdoor activities, nature sightseeing and Irish culture. 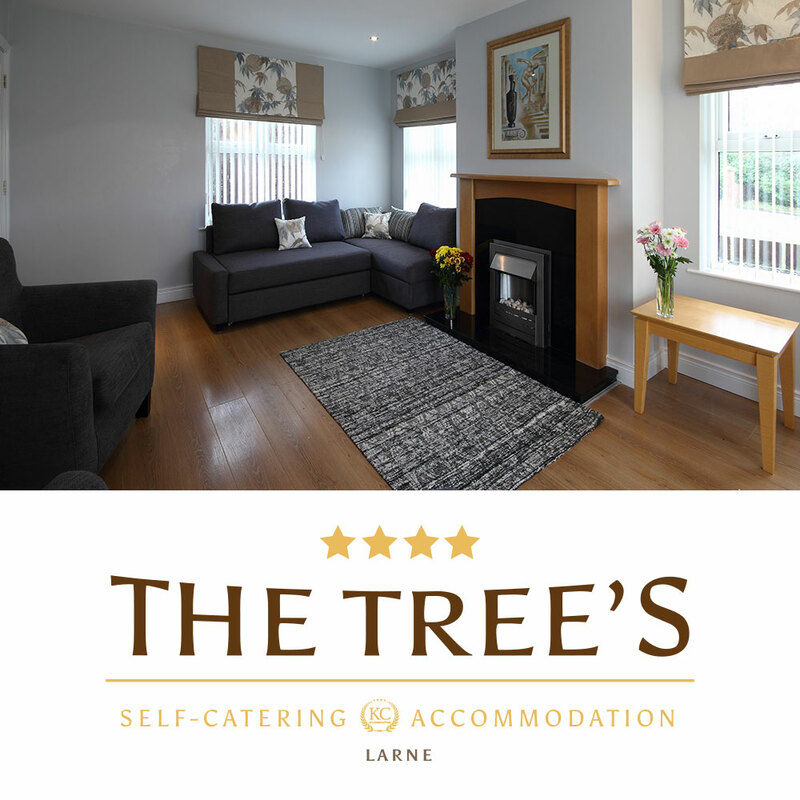 A three bedroom house in Larne, The Tree’s can easily accommodate a large group of guests. 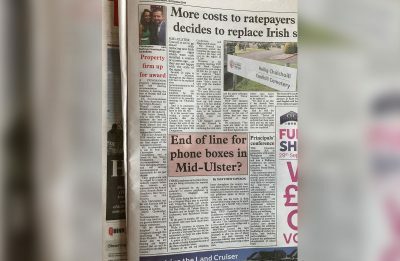 Located at the start of the north coast drive, The Tree’s provide an excellent location for guests who want to see and experience the best of Northern Ireland’s culture and its attractions. 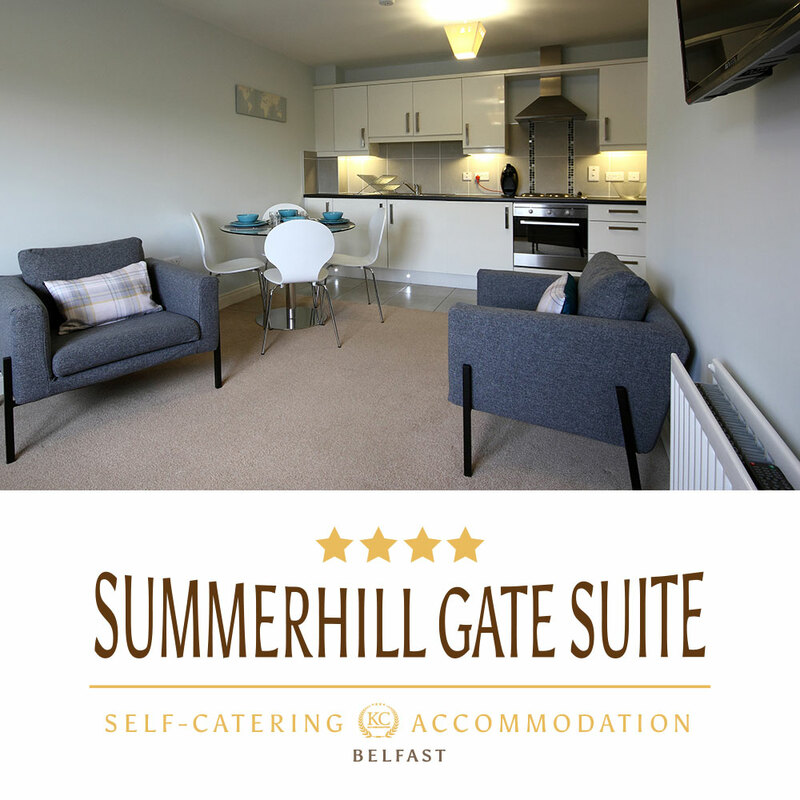 Summerhill Suite is a two bedroom apartment situated at the Stormont area of Belfast, only a few minutes away to the Titanic Exhibition Centre, the complete entertainment amenities of Dundonald Complex and SSE Arena, the coastal view of Helens Bay and the Ballysnackamore Food Tour. Mcquaid Suite is popular among many corporate and leisure staying guests because of its fresh ambience. Whether you just like to stay indoor or explore the many activities and attractions of the county, you are guaranteed to have a memorable refuge that is the McQuaid Suite. 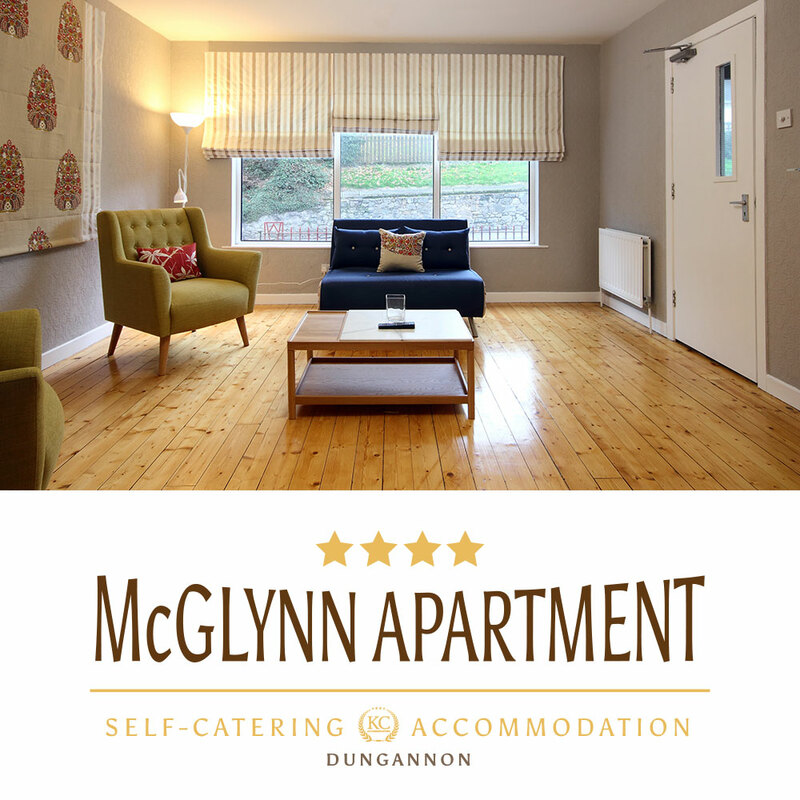 A cosy but modernly furnished apartment with a triple bedroom situated in the historic town of Dungannon. 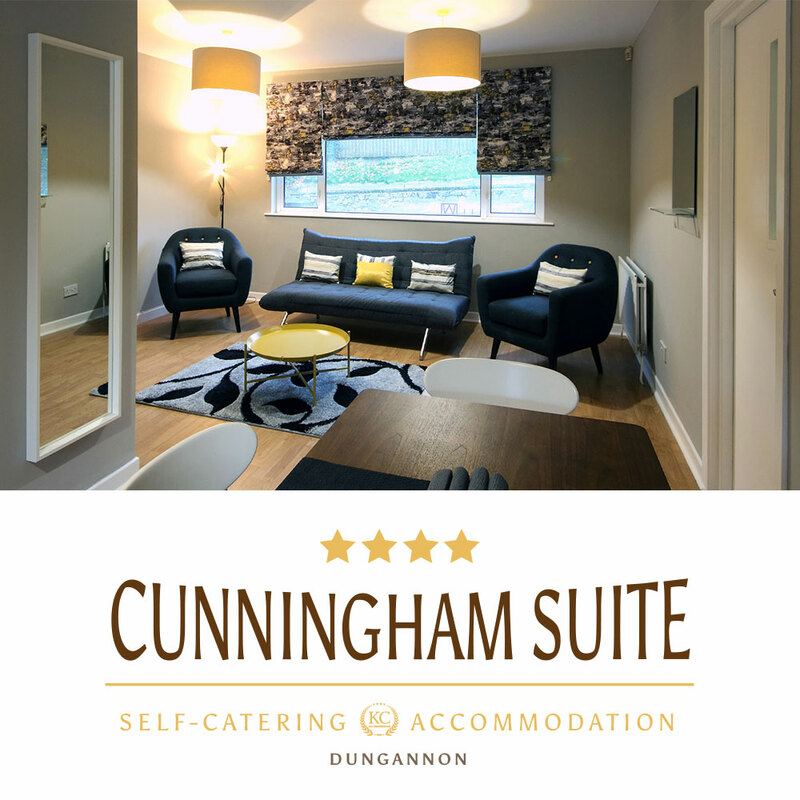 McGlynn suite offers a perfect accommodation for a small group of friends and family staying together on a short or long visit to discover the beauty of Northern Ireland. 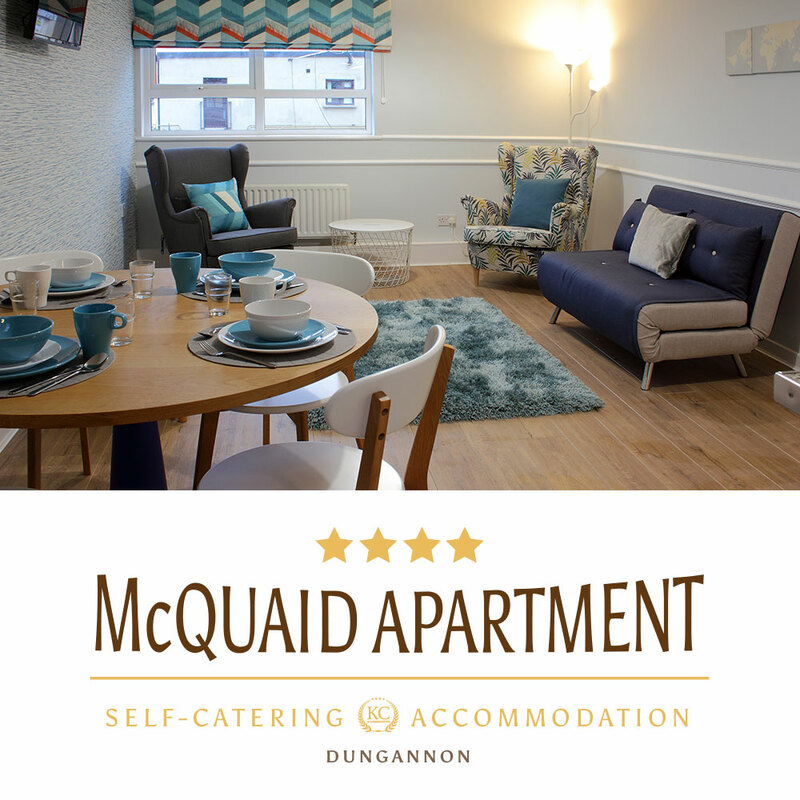 One of the hidden gems in the traditional town of Dungannon is our two-bedroom apartment. Guests love the modern decor and facilities, a favourite choice of our corporate guests. 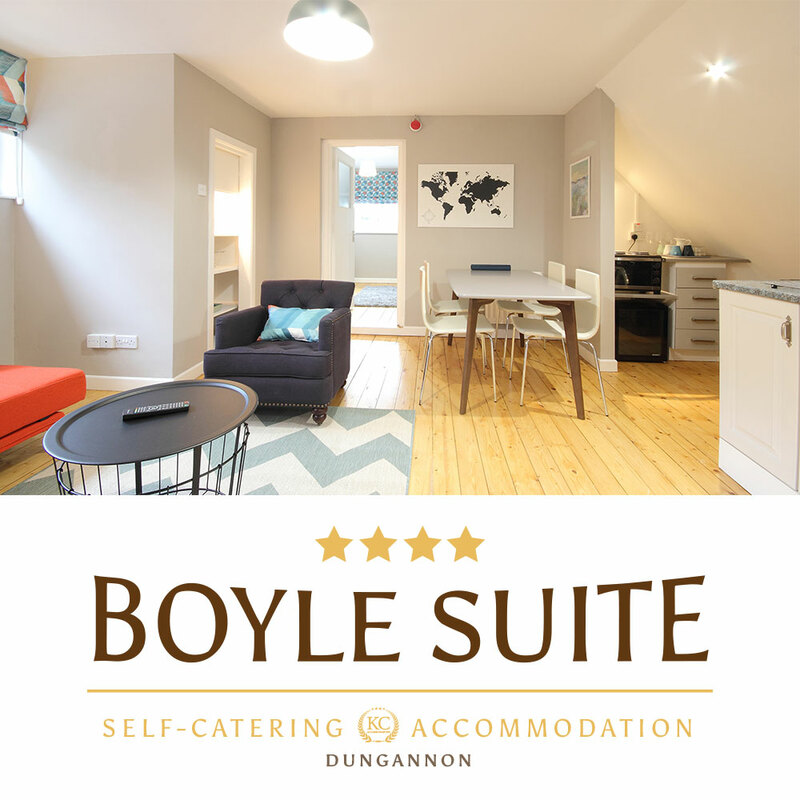 Boyle suite offers only the best facilities without compromising your value of money. Cunningham suite is a two bedroom apartment furnished recommended for a couple with a plus one. 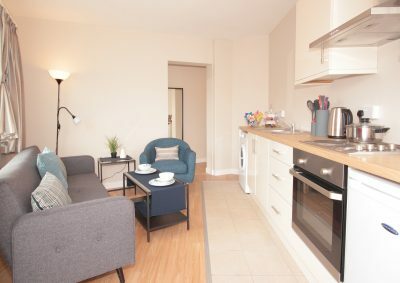 This superbly furnished apartment suite offers comfortable solitude from the hassle and bustle of the city life, and an excellent choice for long or brief business trip. Luxurious KC House is a three-floor house with three bedrooms. 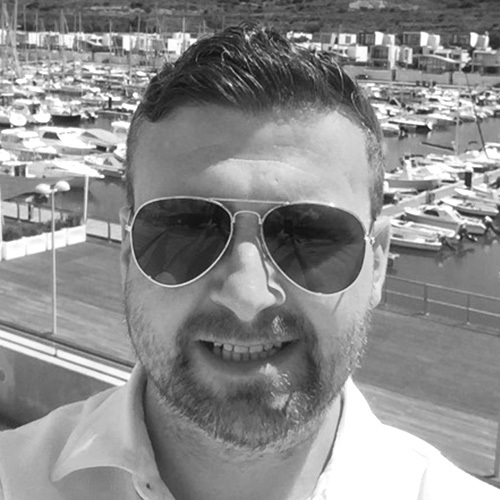 This house offers excellent accommodation with it’s spacious and fully furnished house and modern decors. 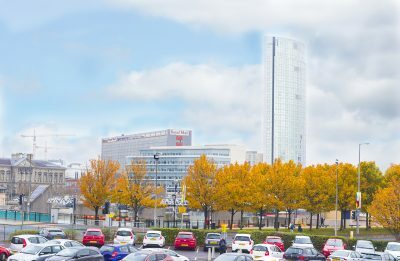 Guest loves its location, only walking distance away from restaurants and shops. Perfect lodging for business clientele seeking a comfortable, high-end apartment for a few days or a few months. 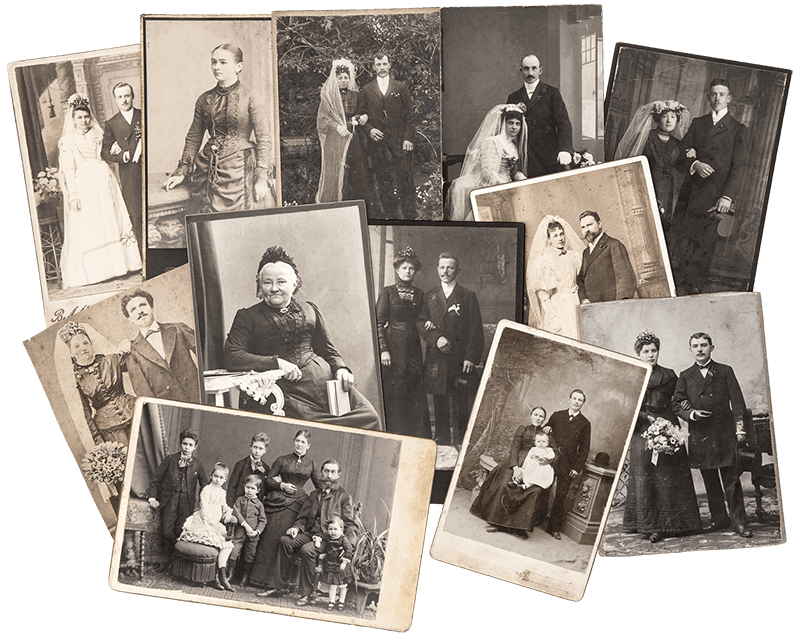 Patrons enjoy free Internet, plenty of local charm, and a suitable space for both work and relaxation if time permits. Use of in-house conference / business centre (furniture rental optional). Concierge services available upon request for all business travellers (some pickup and dropoff transportation, laundry, and ironing).